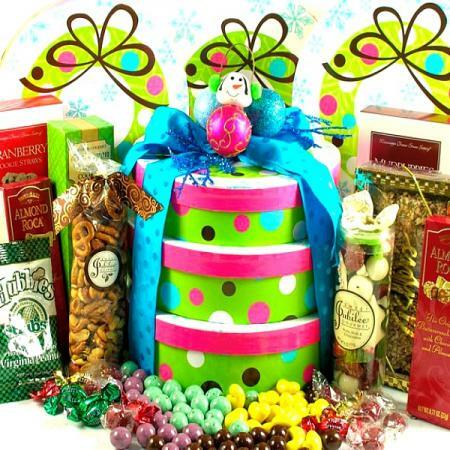 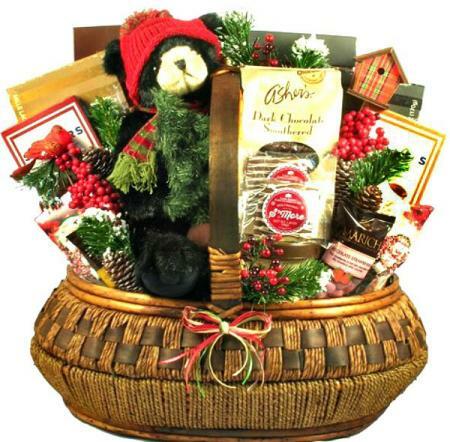 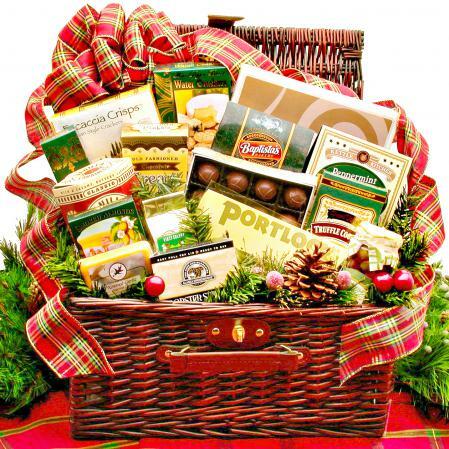 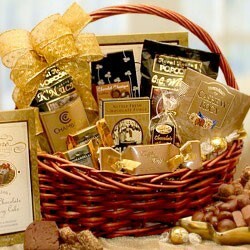 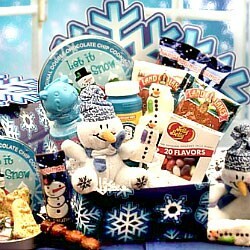 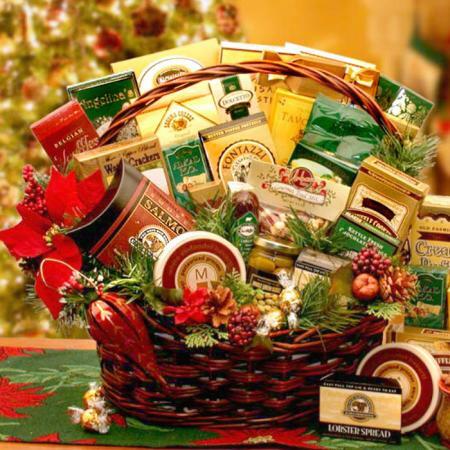 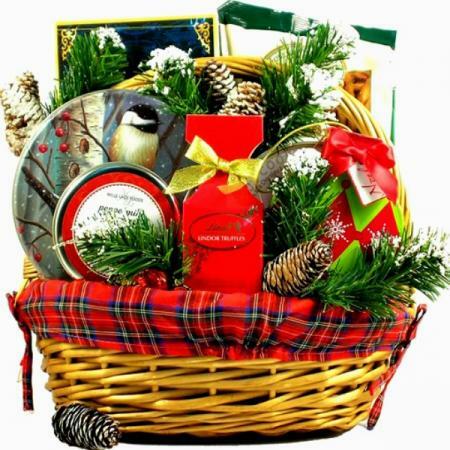 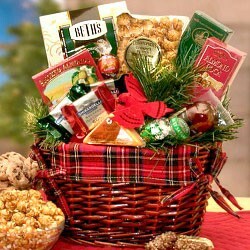 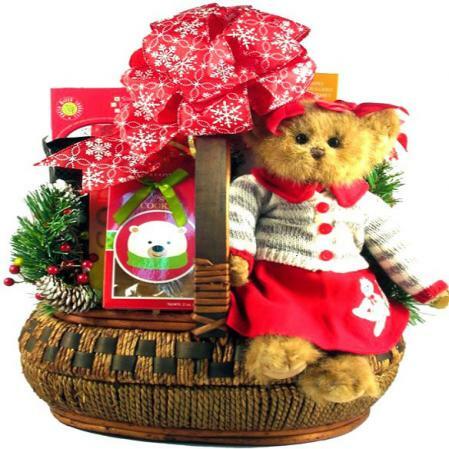 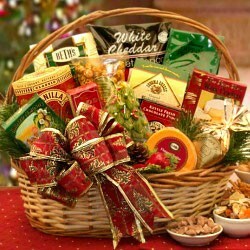 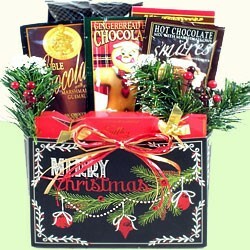 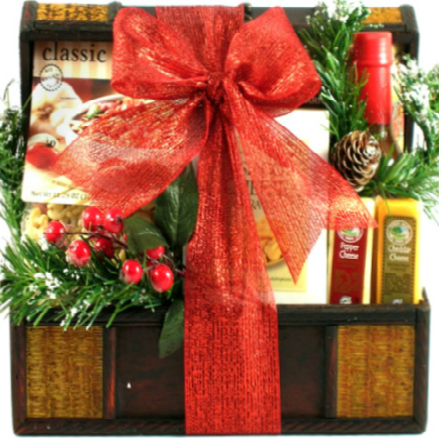 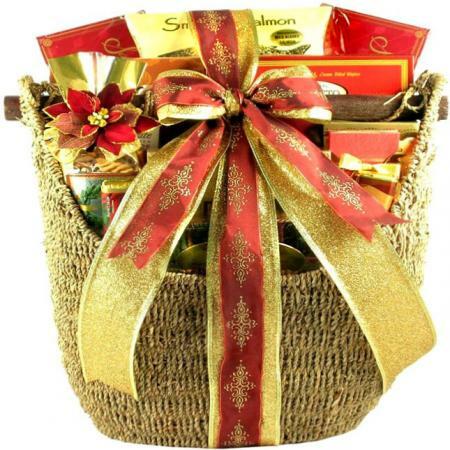 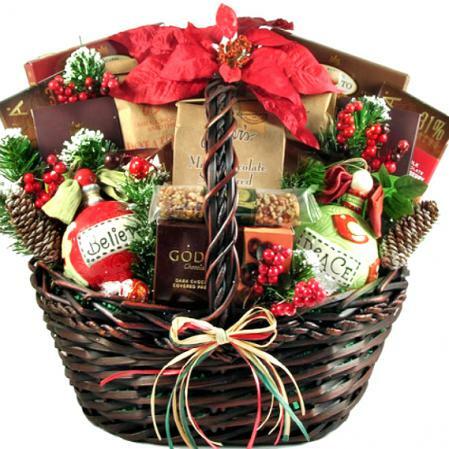 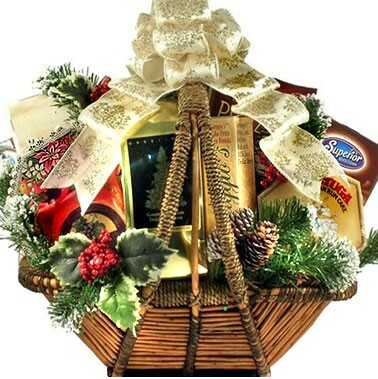 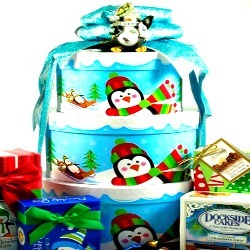 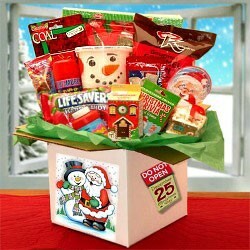 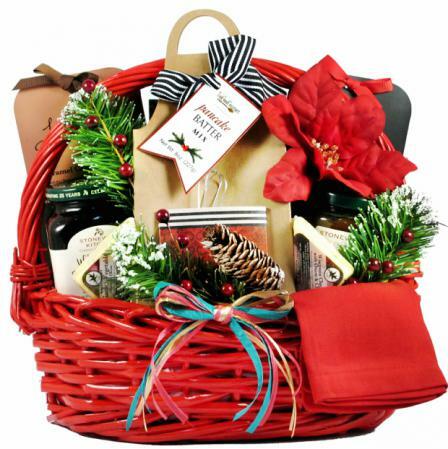 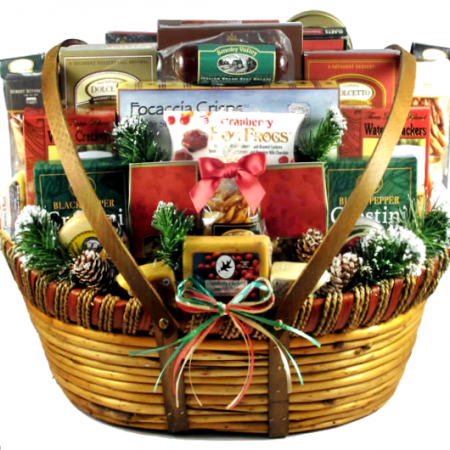 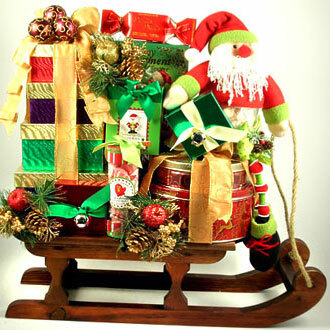 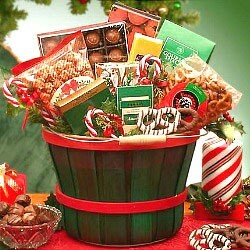 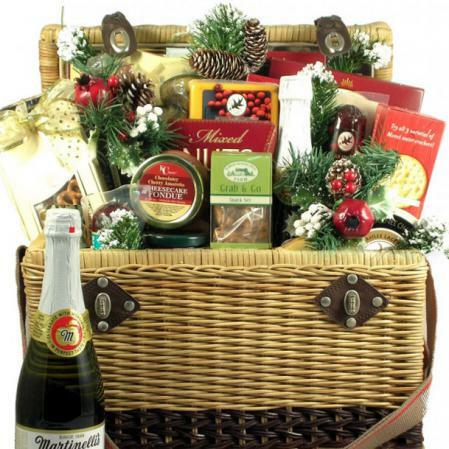 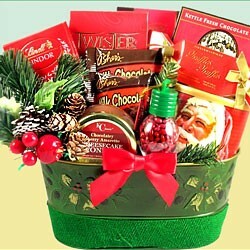 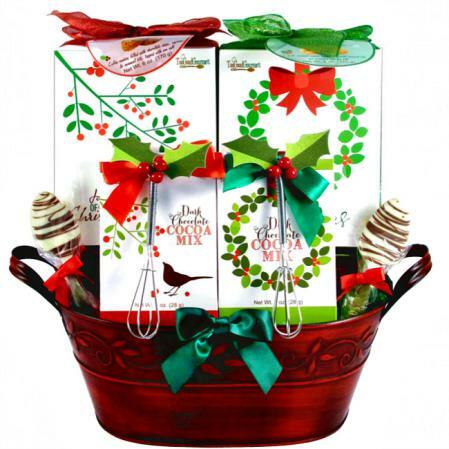 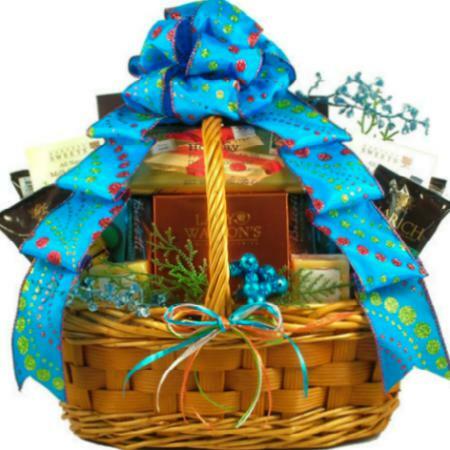 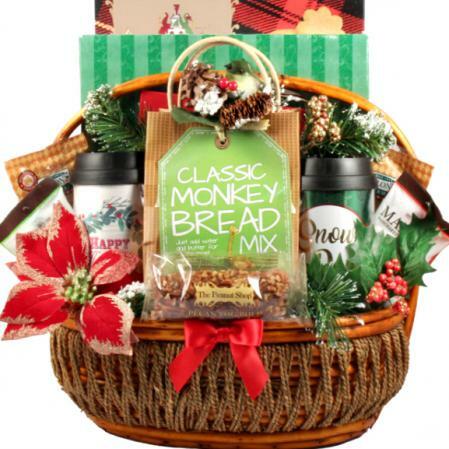 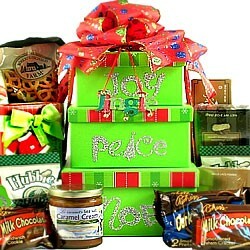 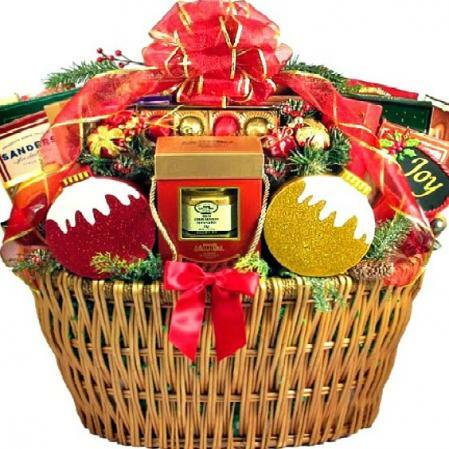 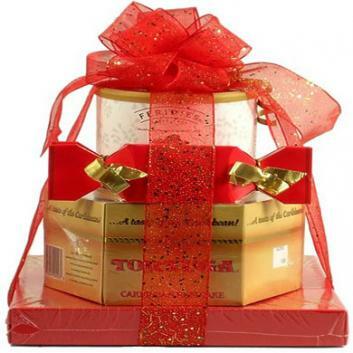 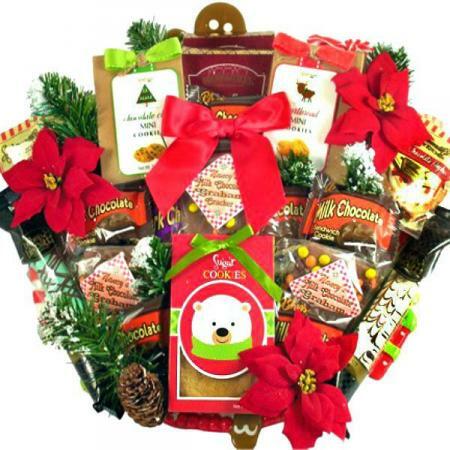 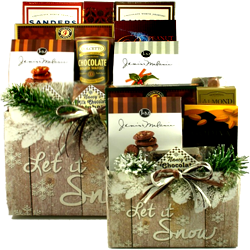 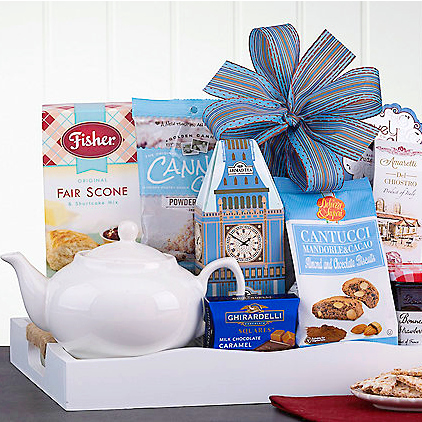 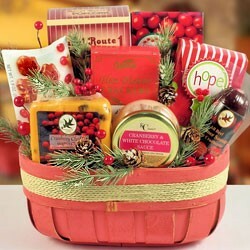 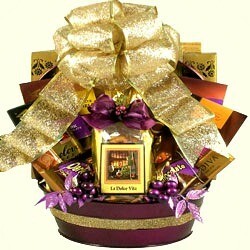 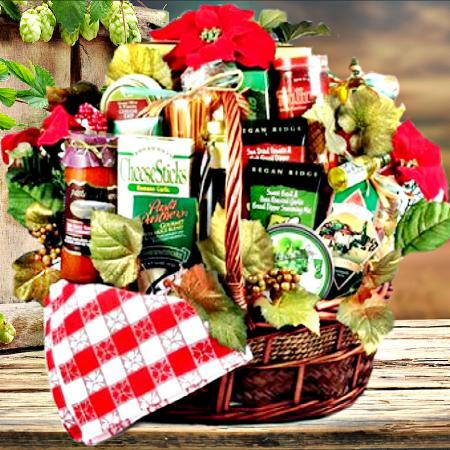 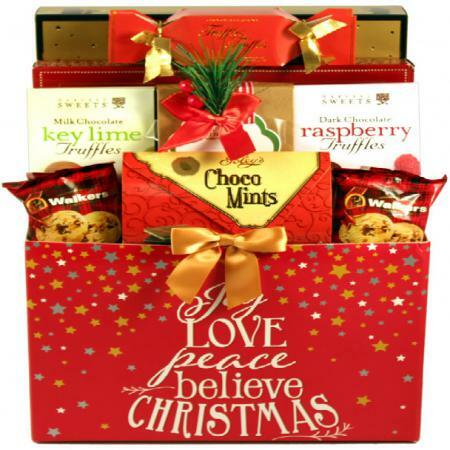 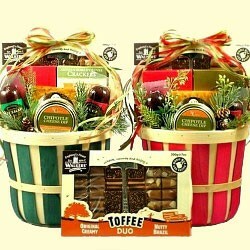 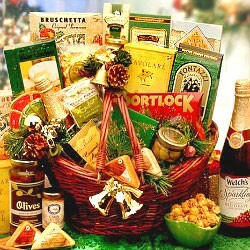 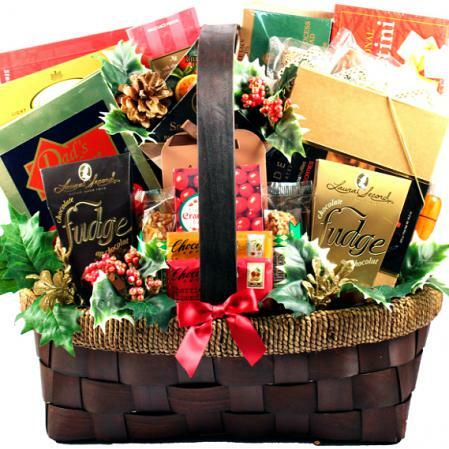 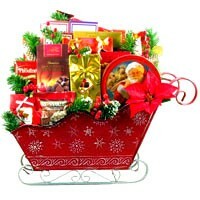 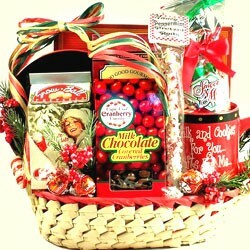 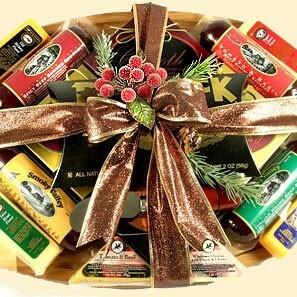 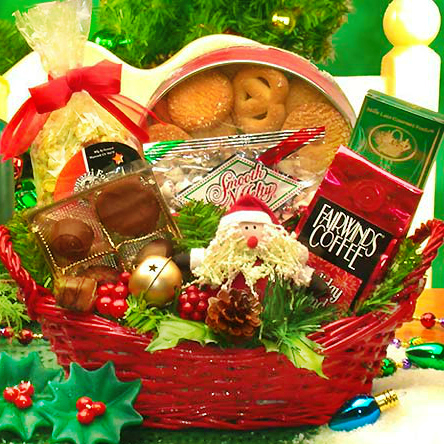 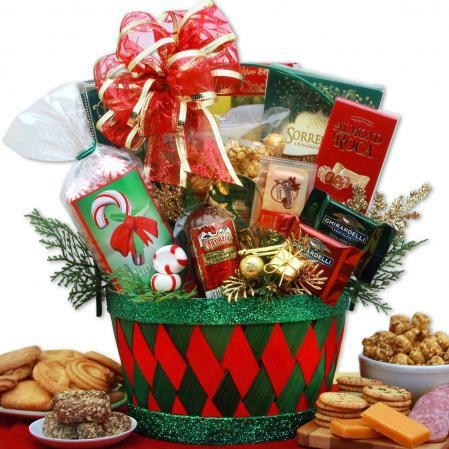 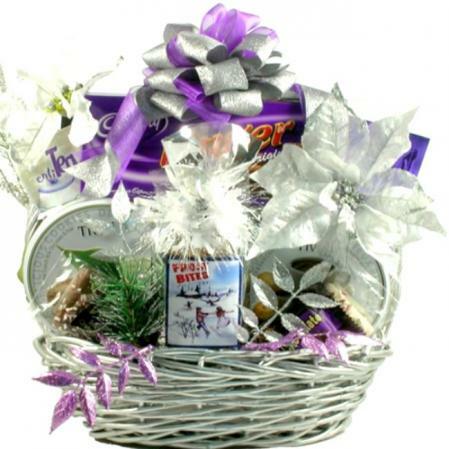 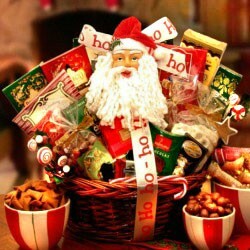 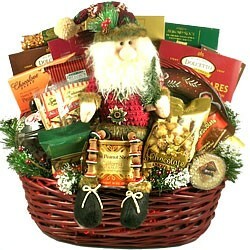 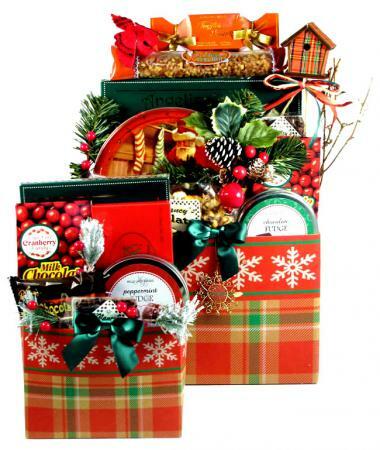 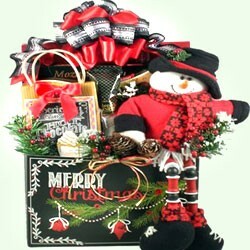 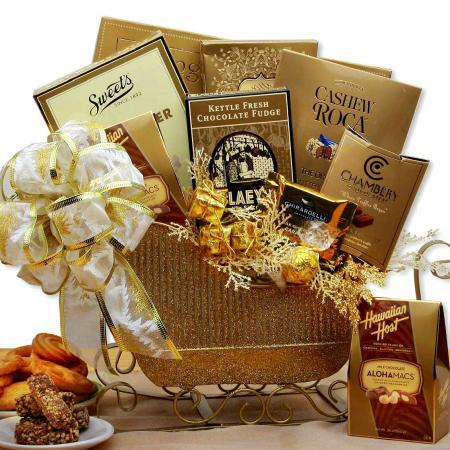 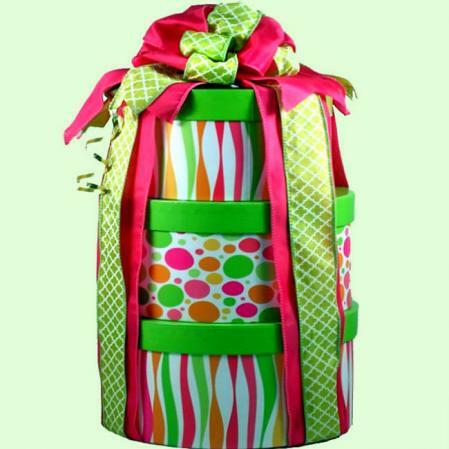 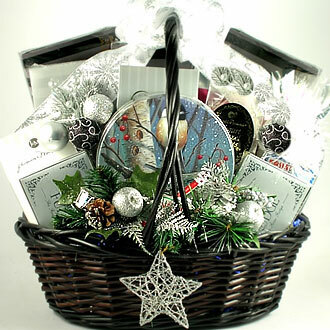 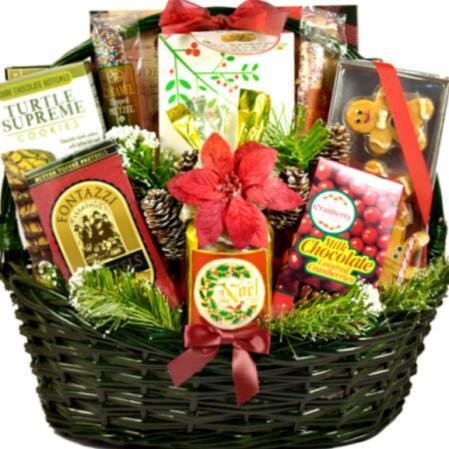 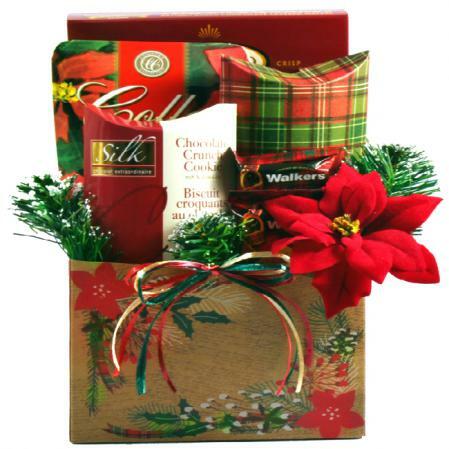 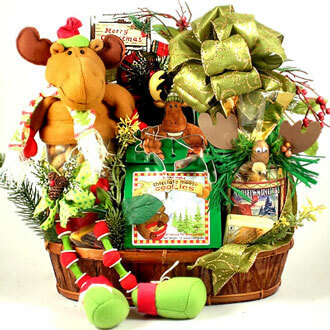 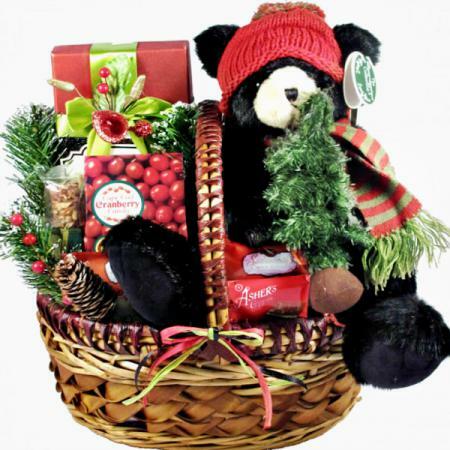 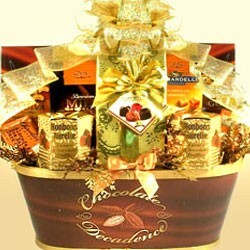 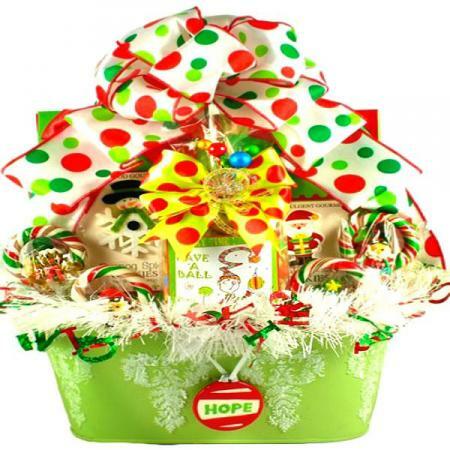 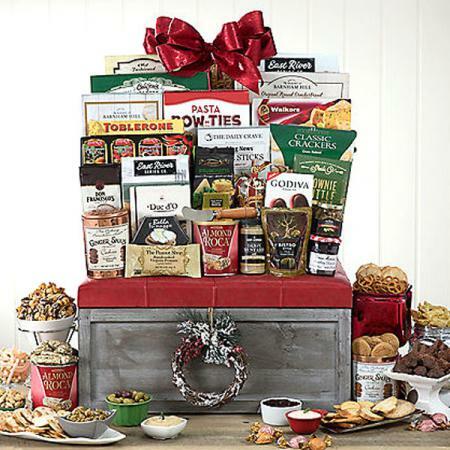 A bright, festive holiday gift basket assortment of scrumptious gourmet food trimmed in burgundy wine poinsettias, spruce, pine, and berries. 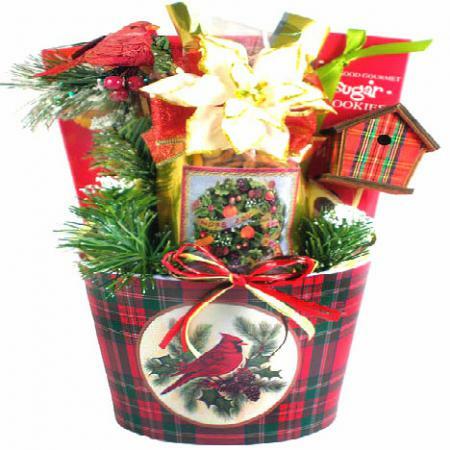 Adorned With Burgundy Wine Poinsettias, Spruce, Pine Cones, And Berries. 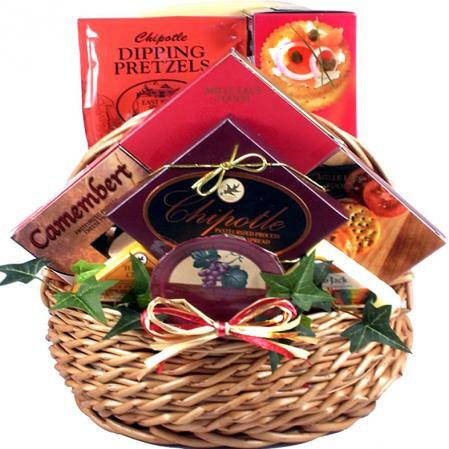 This was my first experience with your company. 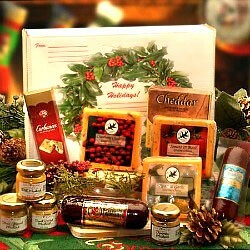 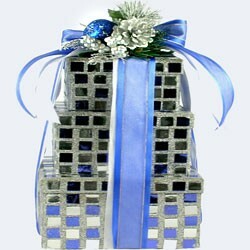 I had a last minute gift to buy and found your website. 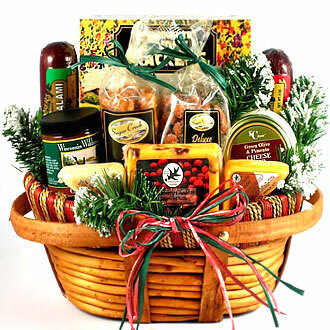 The item I ordered was out of stock and I was very impressed with the prompt email I received, offering either a refund or filling with another equivalent item. 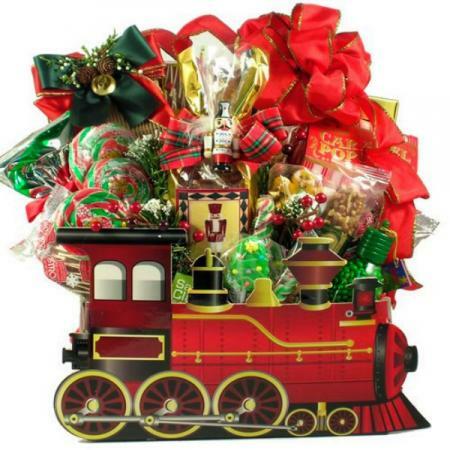 Not once was there a delay. 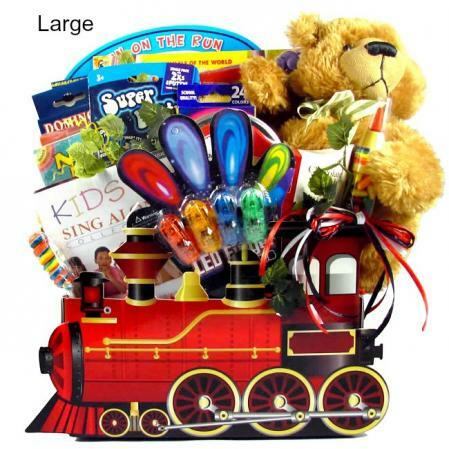 It was delivered as promised and the recipient family was very pleased, especially the children-they said it was like a scavenger hunt. 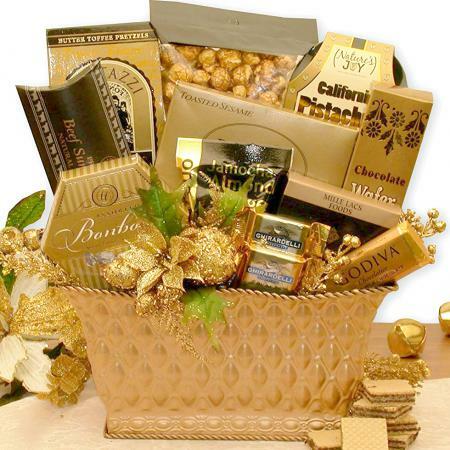 Thank you, and I will use your company again.